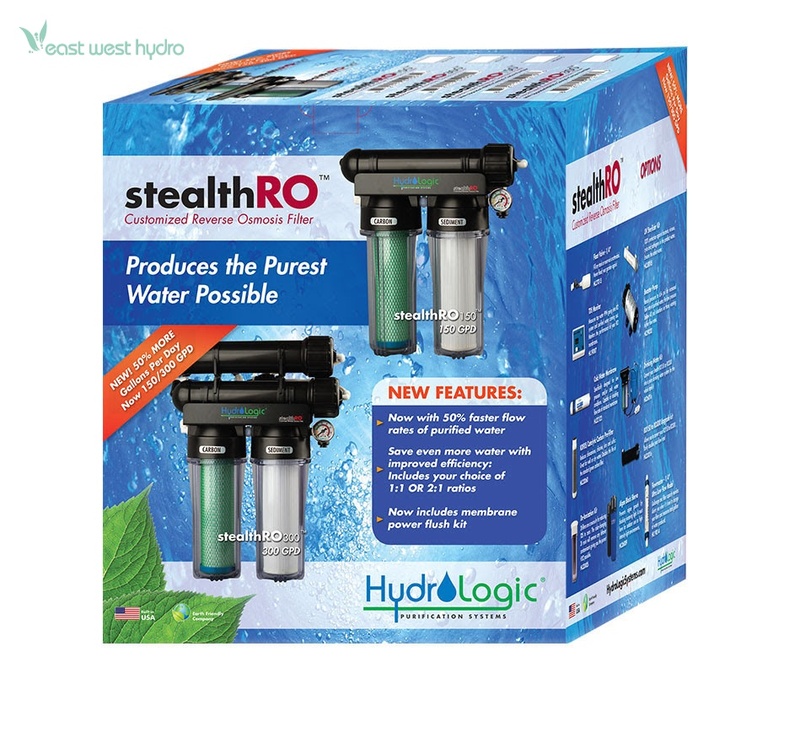 Hydro-Logic is proud to introduce new upgrades to the Stealth-RO 150 with these now standard features: Green Coconut Carbon filter included with all units. Pressure Gauge to monitor performance. Optional flow restrictor to save drain water included. 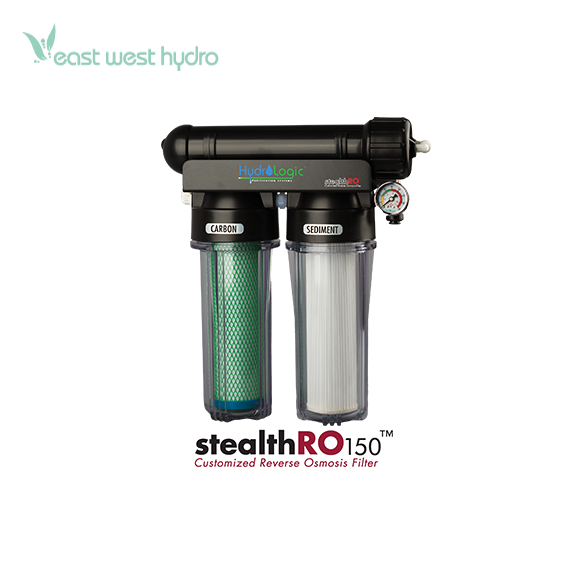 The stealthRO customized reverse osmosis water filter produces up to 150 GPD (gallons per day) of ultra-pure, low PPM water. Removes 98%+ of chlorine & contaminants. Wastes approximately 25% less water than other RO systems. Everything included in the box for quick hook-up. 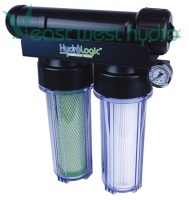 Customized for gardening & hydroponics. *Based on 77° F 60 psi, 550 ppm inlet water. Give your plants only the best water. Start with a clean base for your nutrient formula. Boost nutrient uptake and prevent lockout. Increases quality and yields. Comes with all necessary components in the box for super simple, quick setup. Size: 15" x 14" / Weight: 8.6 lbs. Dimensions: 16.5in. × 6in. × 18.75in.